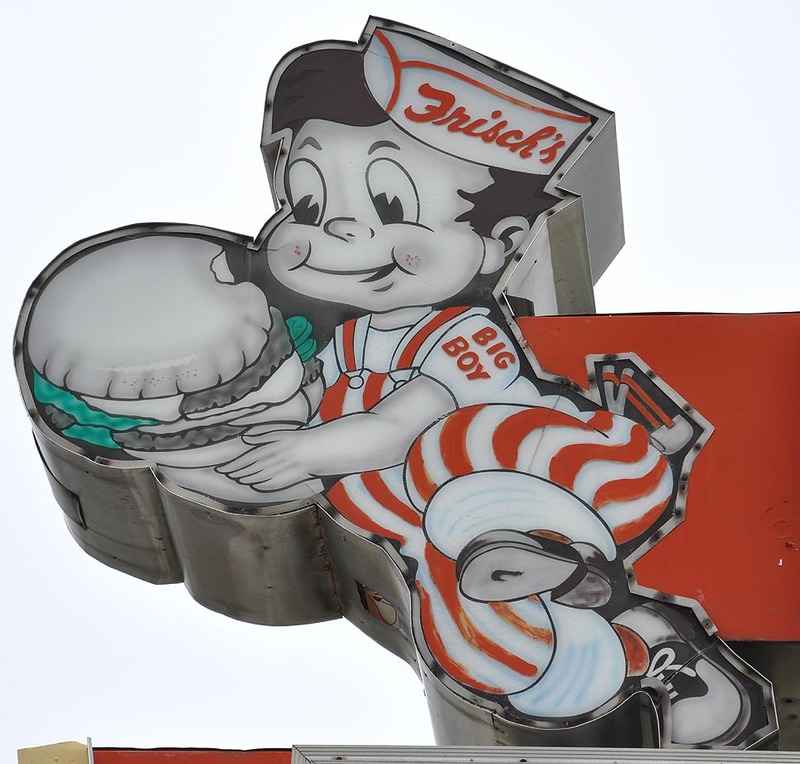 Frisch's was founded in Cincinnati in 1923. 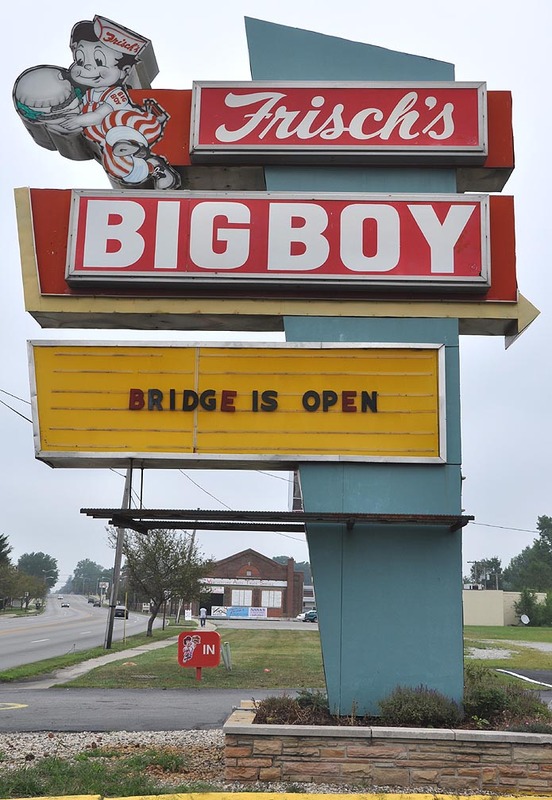 Dave Frisch arranged a franchise with Bob Wian around 1949. 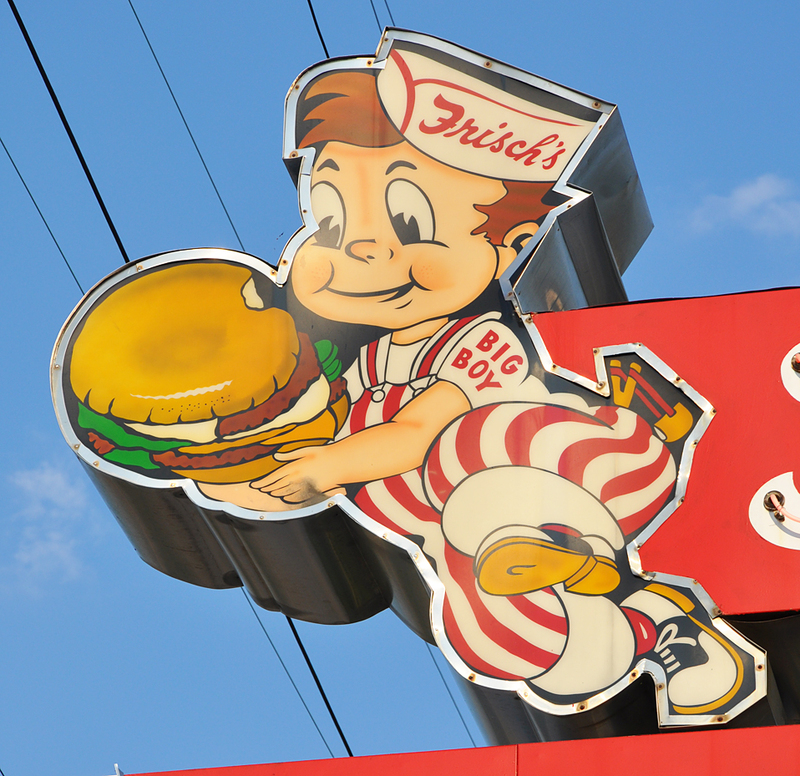 Frisch's used tartar sauce rather than 1,000 Island dressing on their burgers. 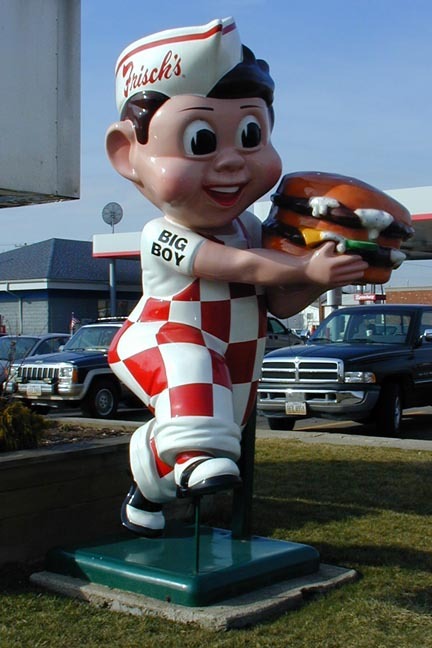 Frisch's bought the rights to the Big Boy name in late 2000 after the Elias Bros. bankruptcy. 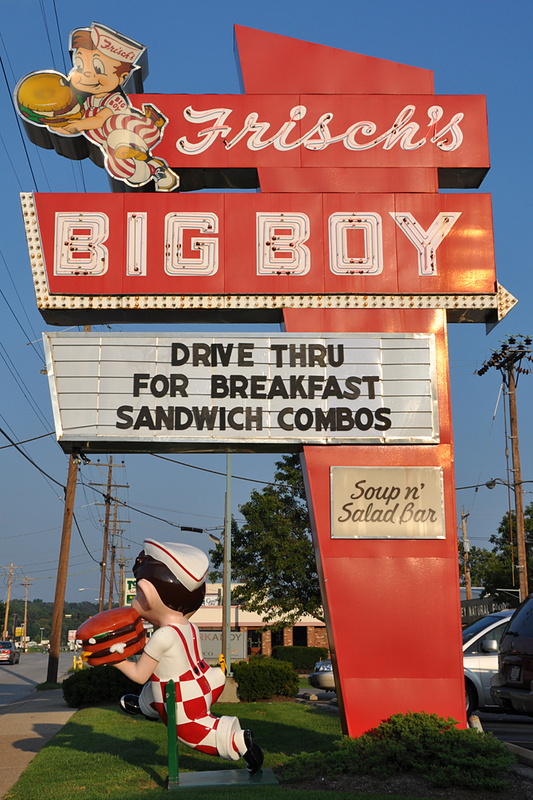 There are now 88 company-owned Frisch's and 26 franchise units, all using the Frisch's Big Boy name. 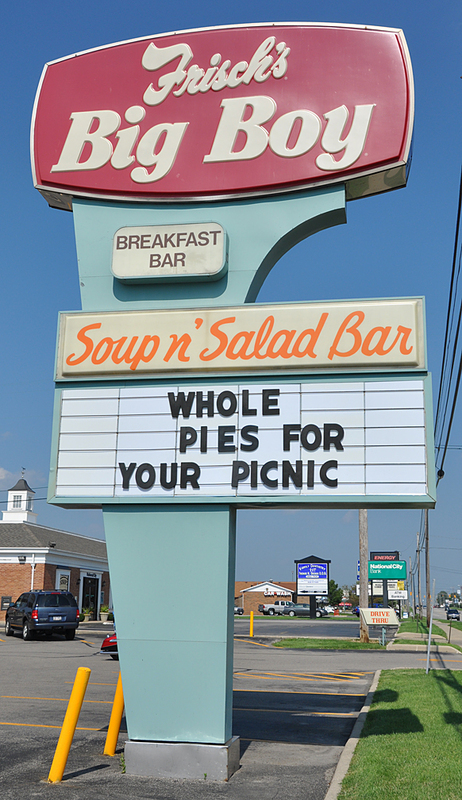 They are located in Ohio, Indiana and Kentucky. 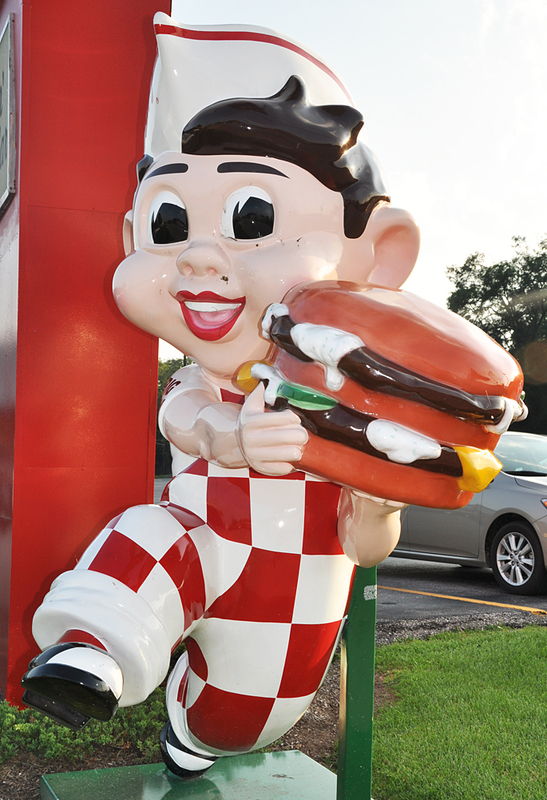 For more about Frisch's, see these websites: 1, 2, and 3. 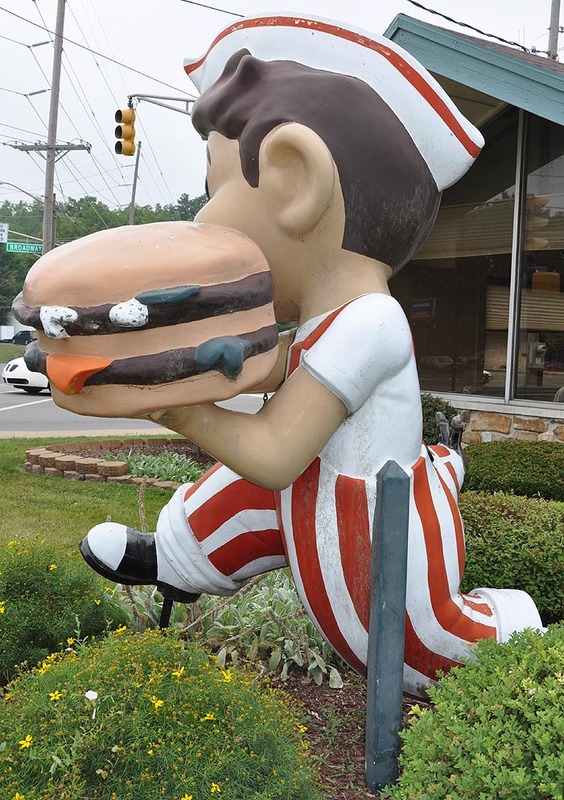 The Columbus Frisch's location on Route 40 was built in the late 1950s or early 1960s. 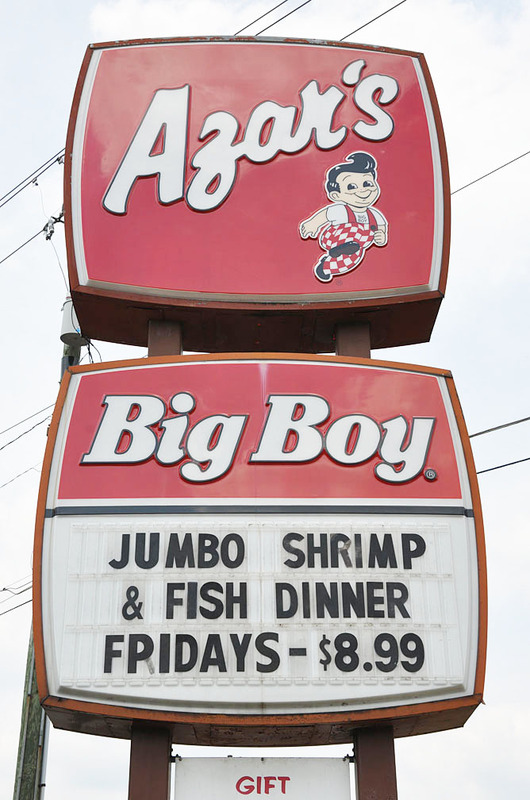 The sign was original but the building had a retro remodeling at some point. 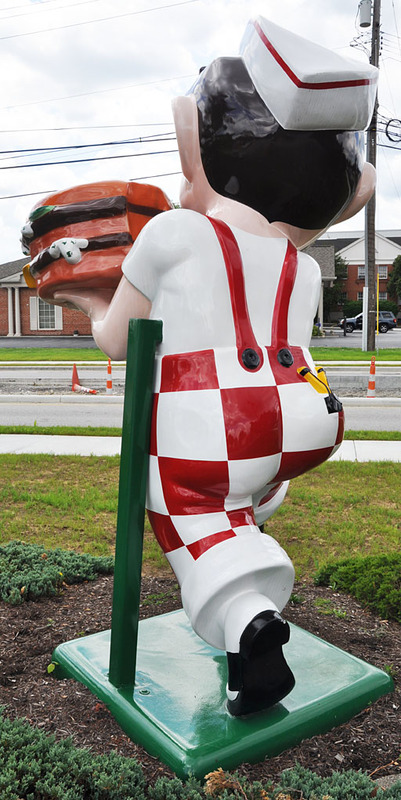 The statue appeared to be modern as well. 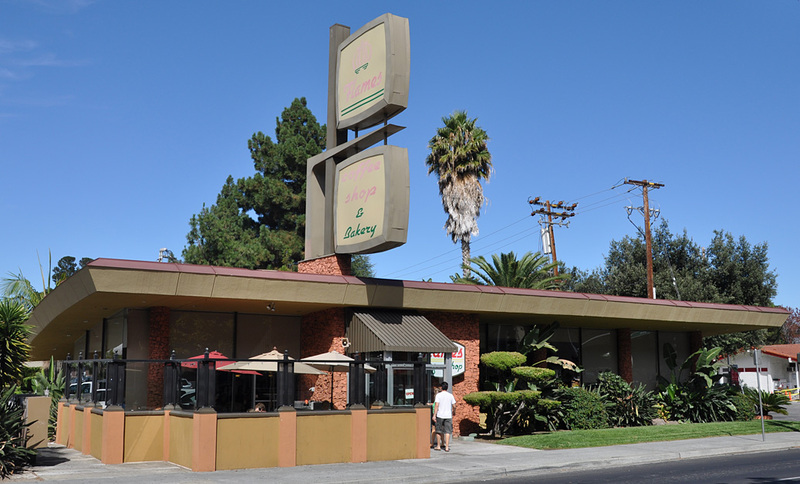 In 2009, the restaurant closed and the building was demolished. 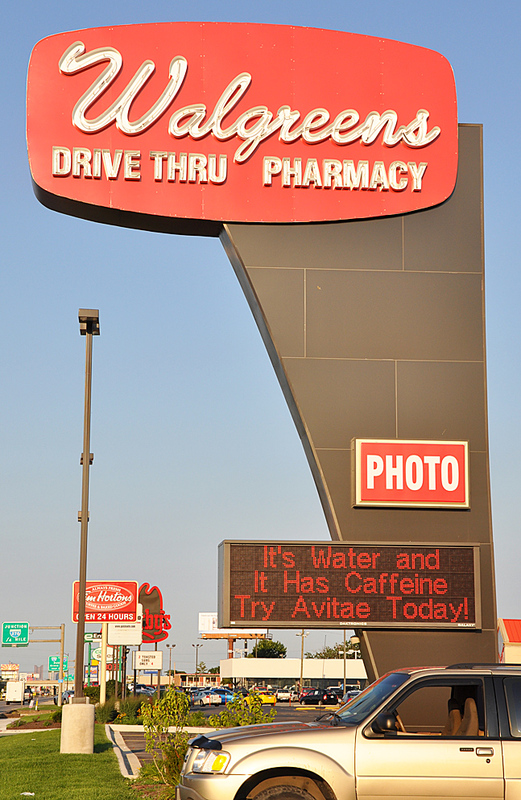 The Walgreens which replaced the restaurant adapted the sign. 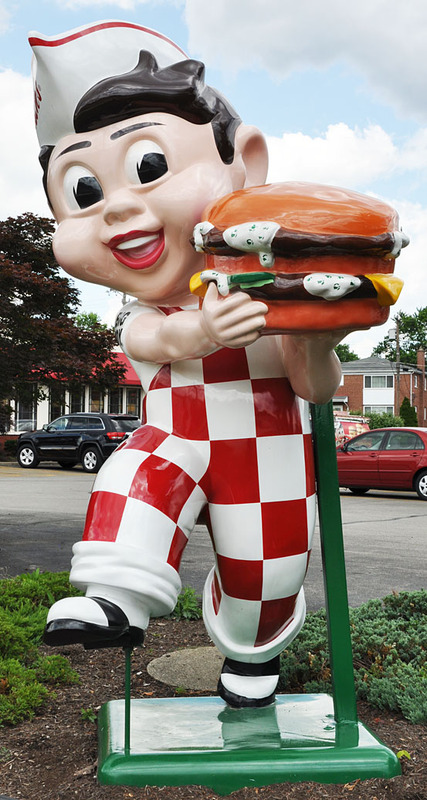 The statue is gone. 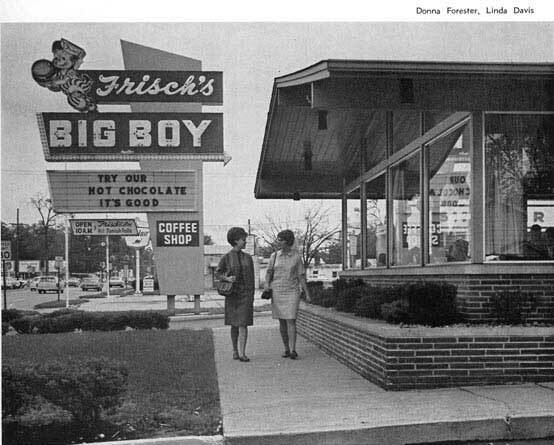 This photo shows a Frisch's in Columbus, IN which is most likely gone or remodeled. 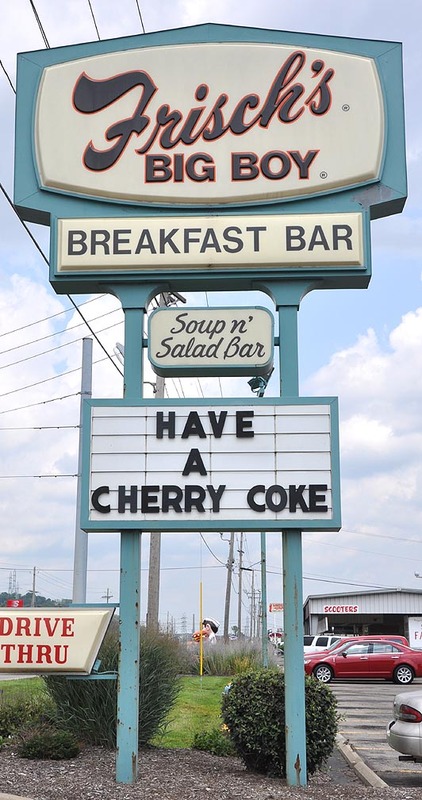 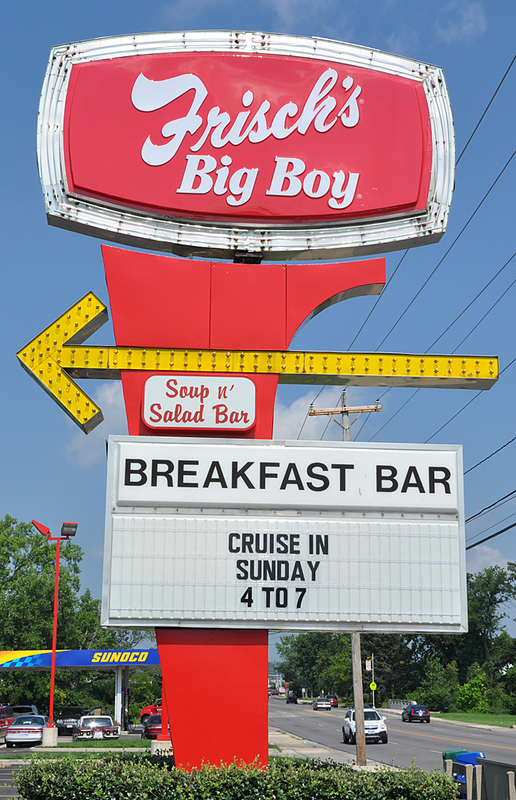 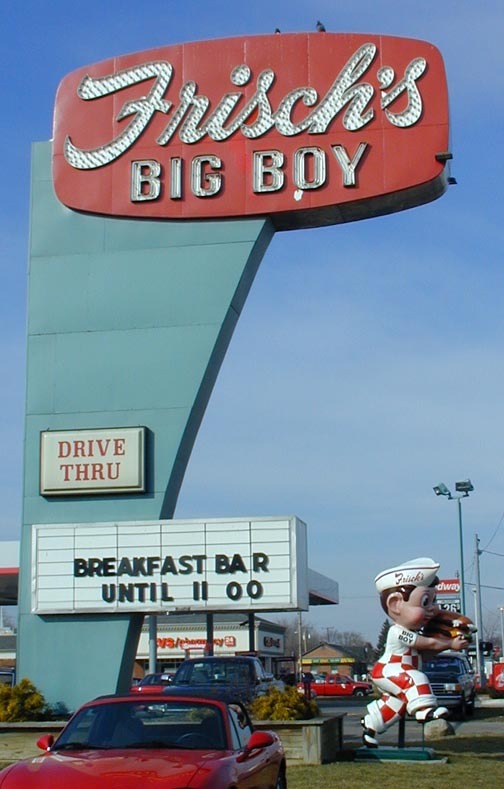 The Frisch's Big Boy in Lawrenceburg is still there but this sign is gone. 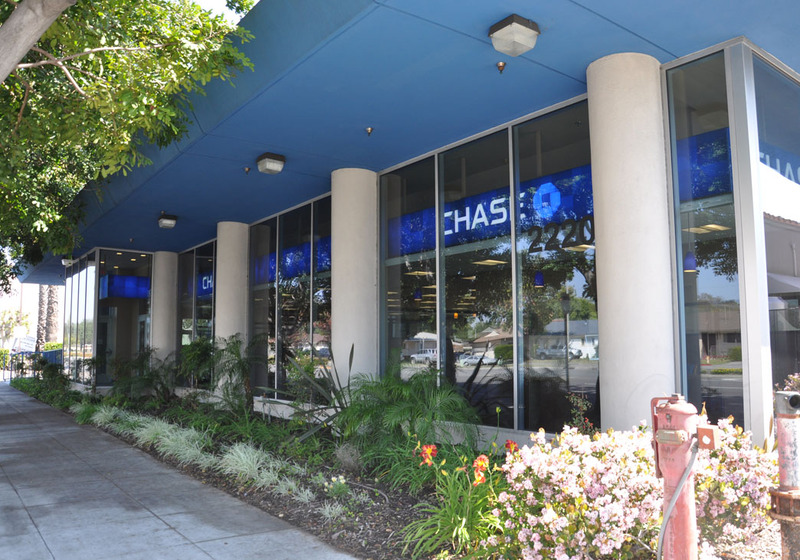 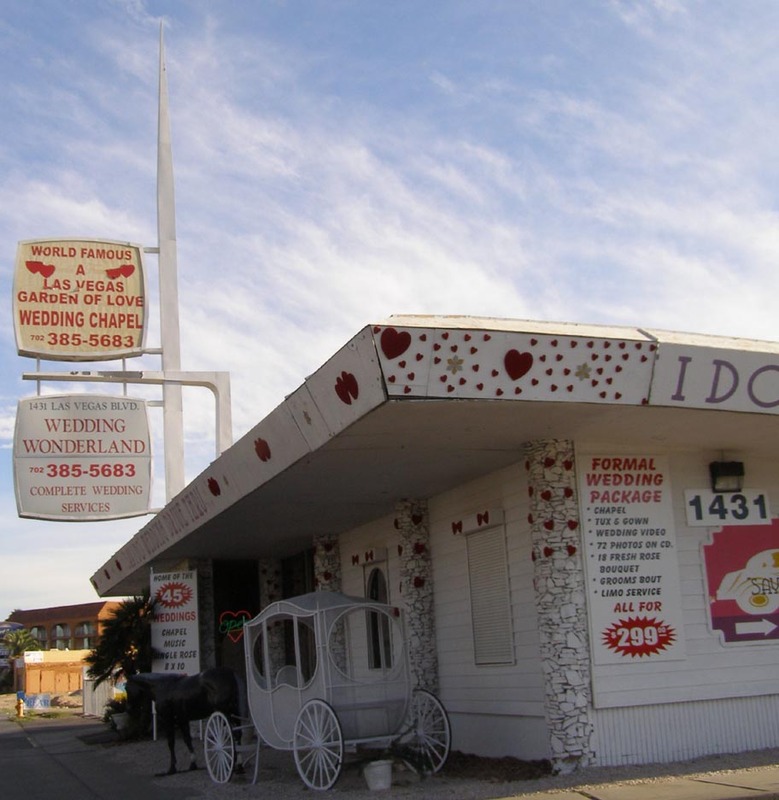 It was replaced when the building was remodeled. 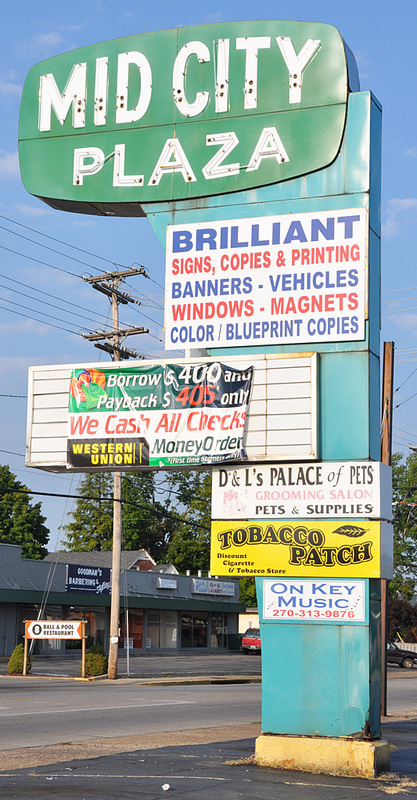 This sign was the same style as the one in New Richmond, OH. 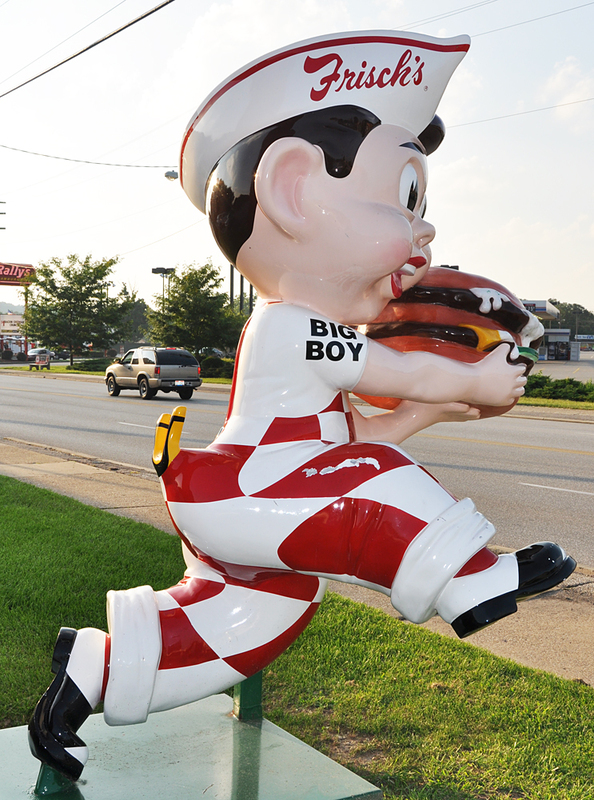 This Frisch's Big Boy sign was built in 1956. 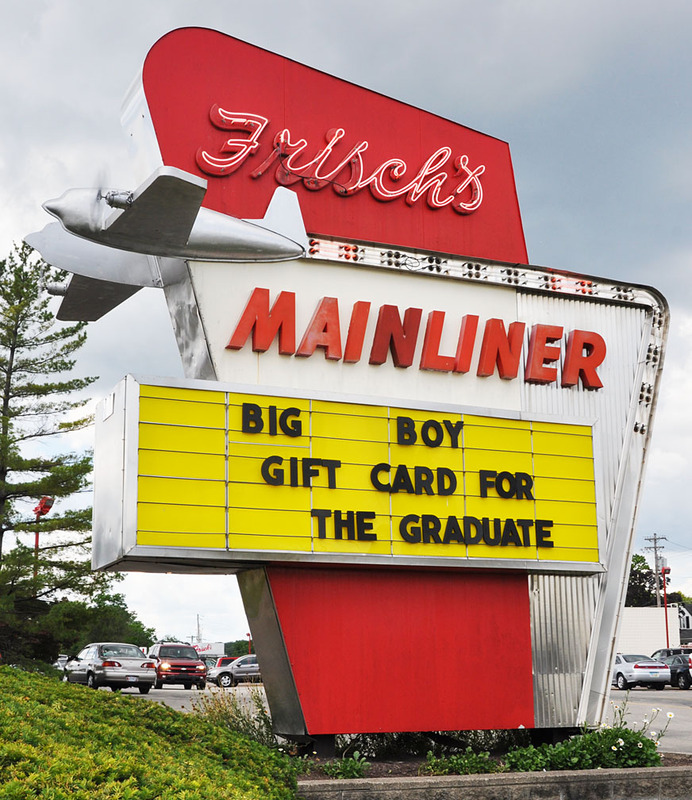 The airplanes' propellers spin. 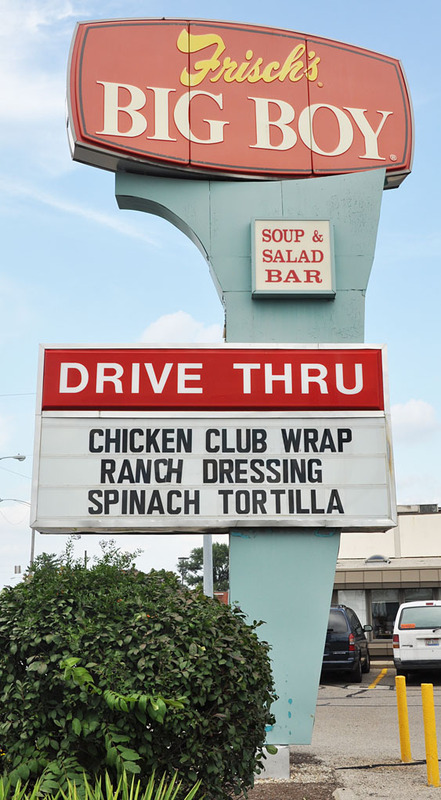 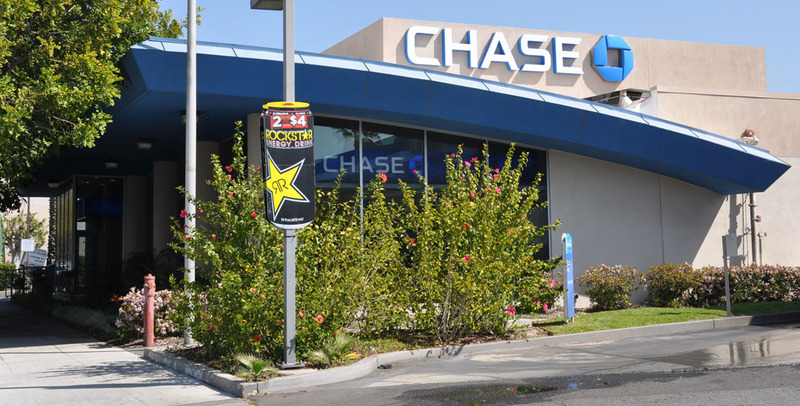 Around 2008, the sign was repainted. 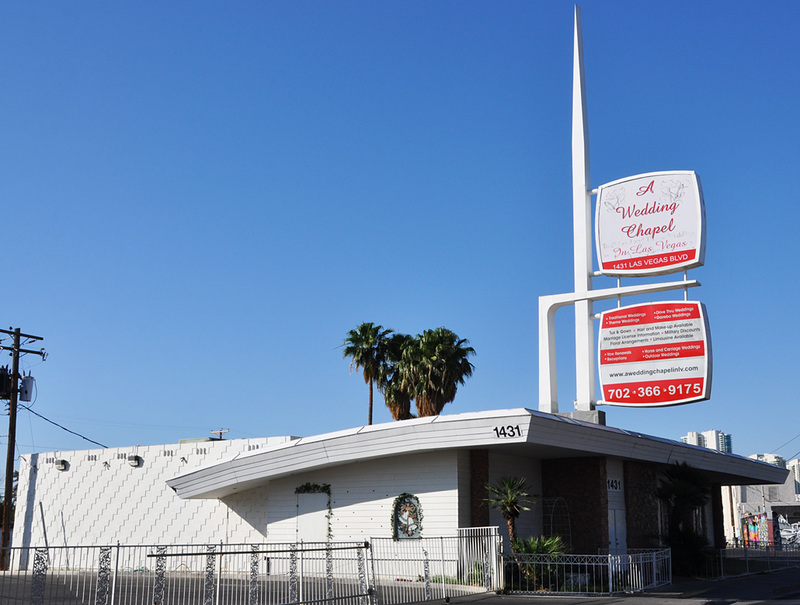 It was previously green and the planes were white. 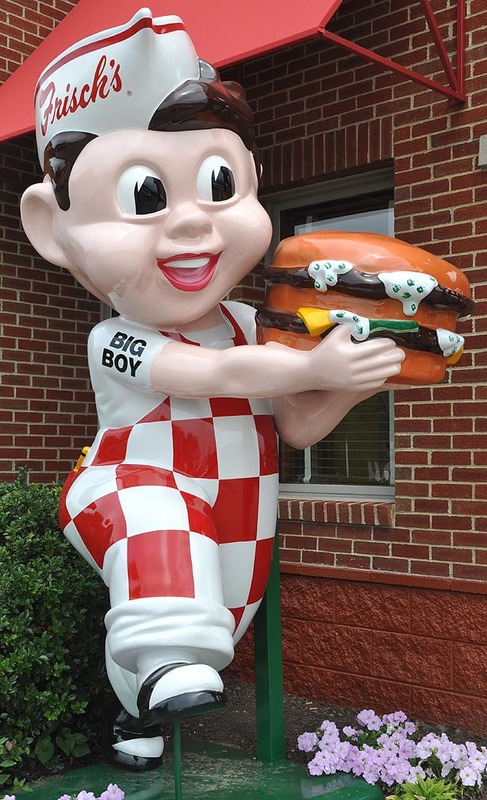 This is a modern Big Boy statue. 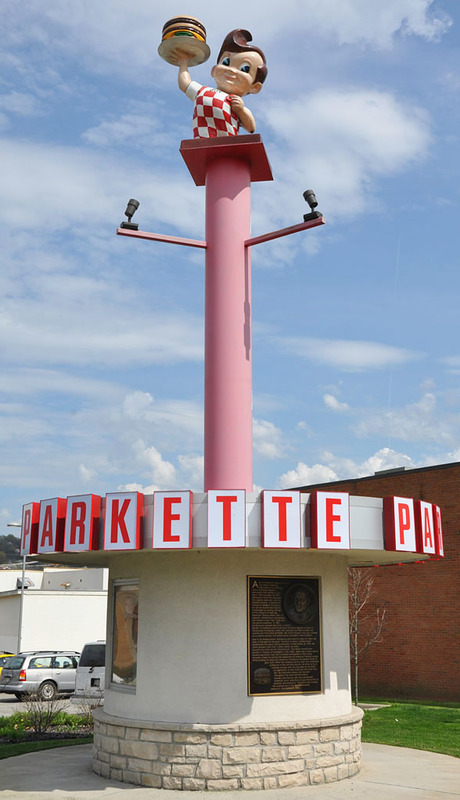 The Parkette Drive-in opened here in 1947. 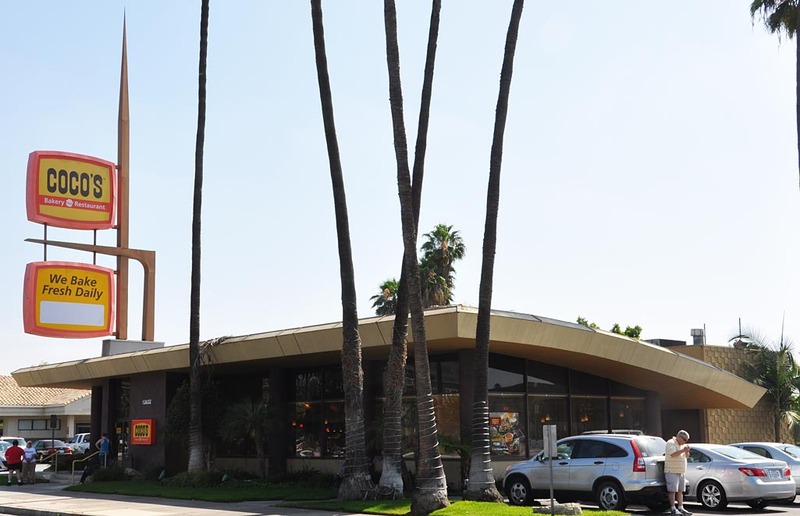 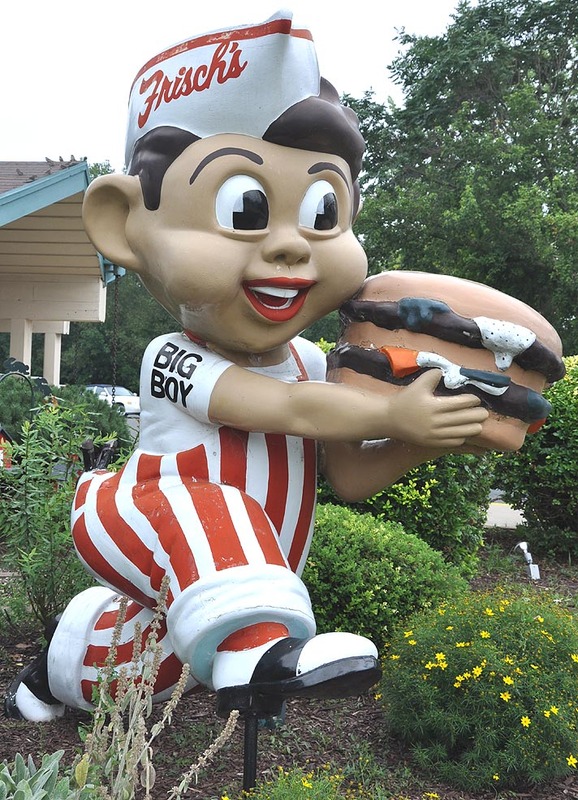 In 1954, the owner, Alex Schoenbaum, renamed the restaurant Shoney's Big Boy and began operating other locations as part of the Big Boy chain. 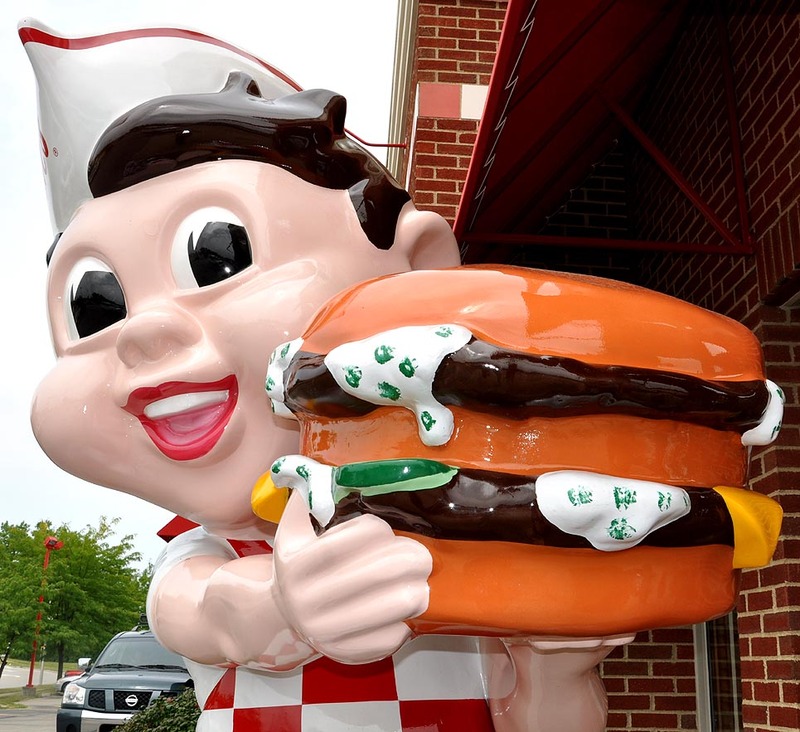 There are conflicting reports of just when Shoney's went independent. 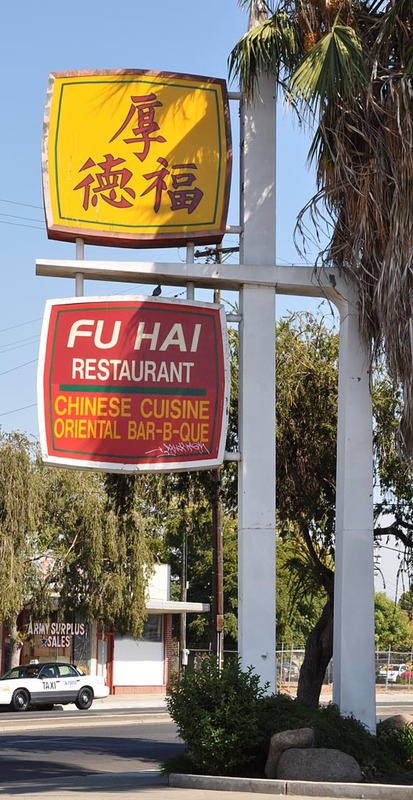 Some say 1976, others claim it happened in the early 1980s. 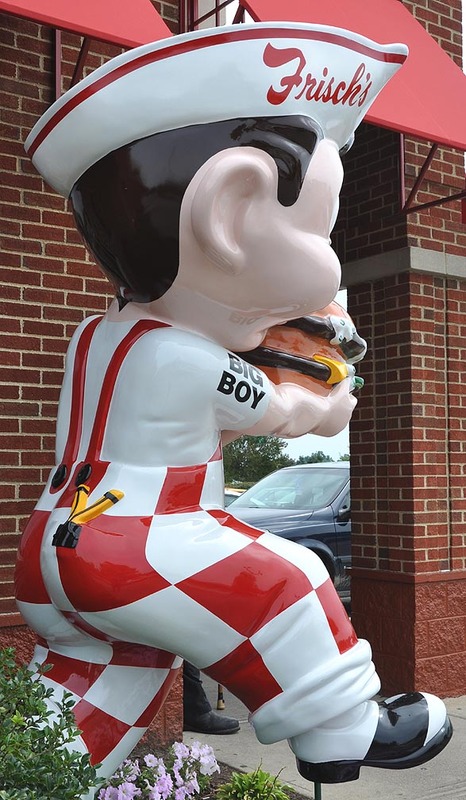 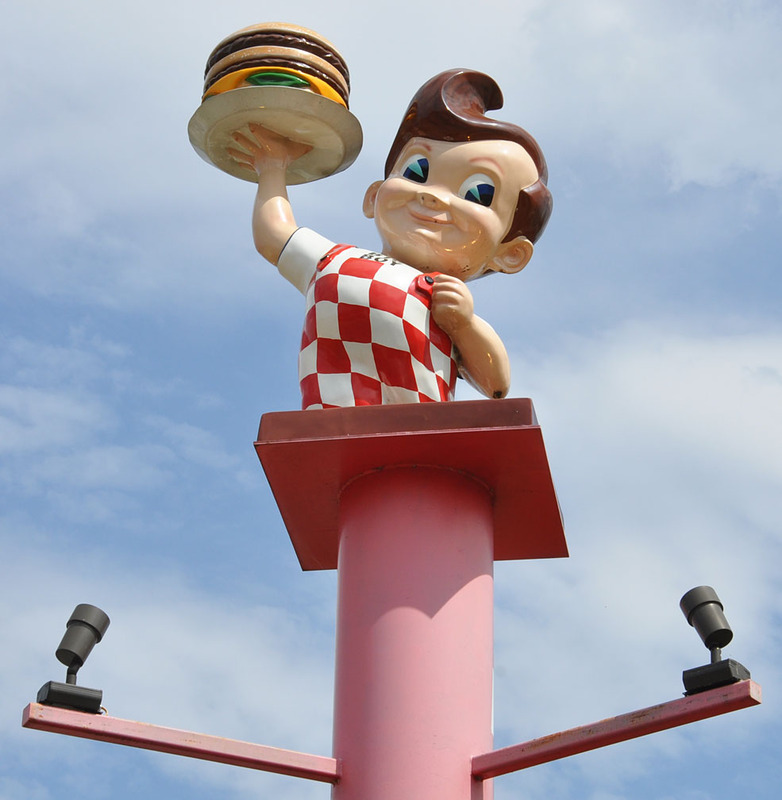 In 2008, this Big Boy statue was installed on top of a 14 foot tall pedestal as a tribute to Schoenbaum and the Shoney's chain. 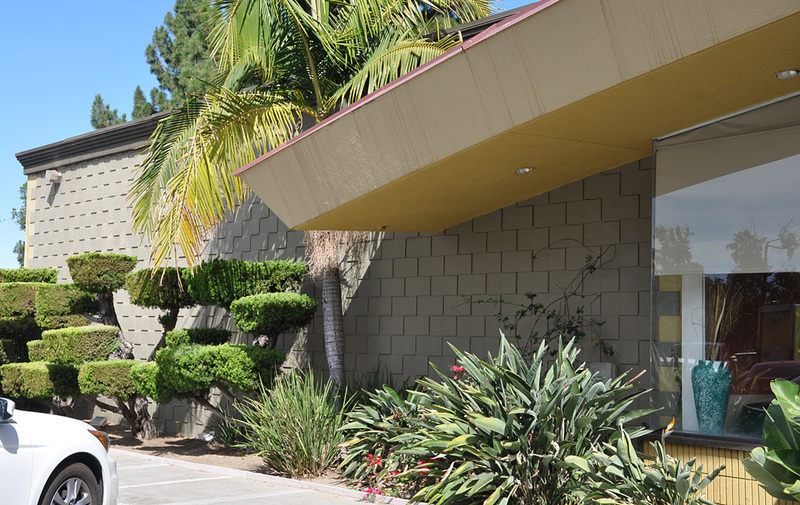 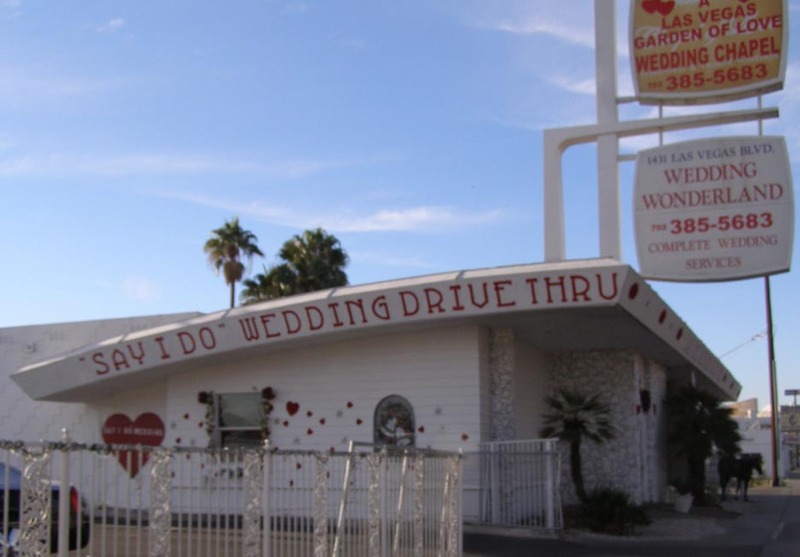 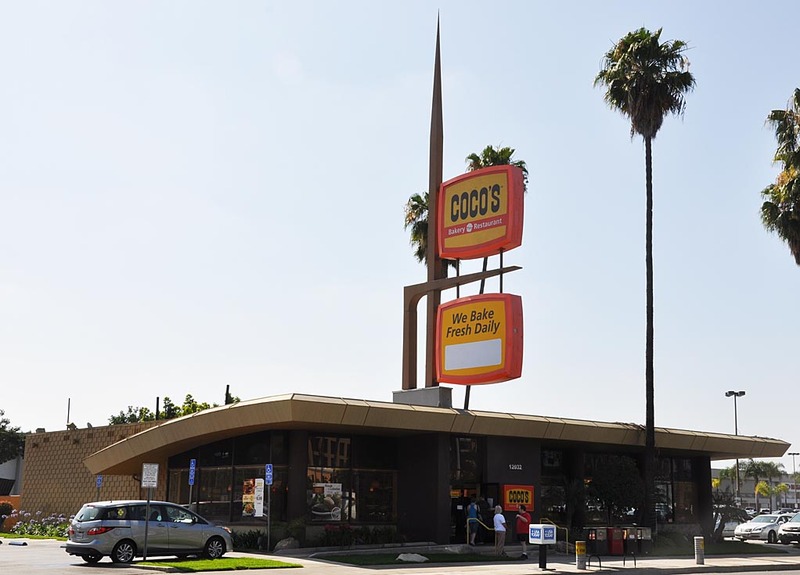 It was built in the style of the second Parkette Drive-in building which was round. 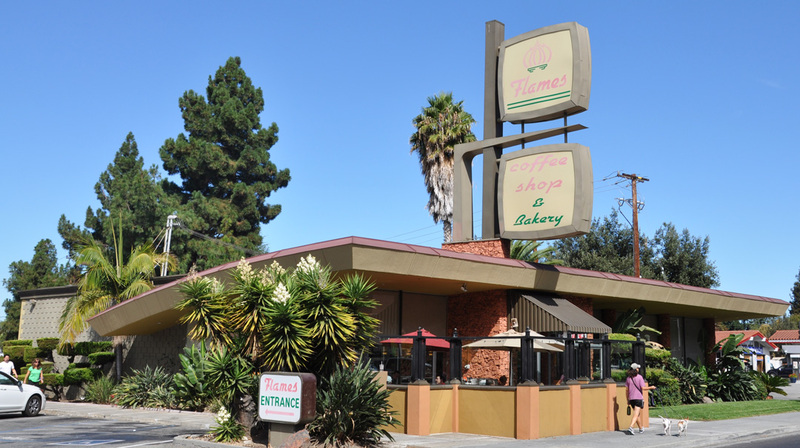 That building was demolished in 1974. 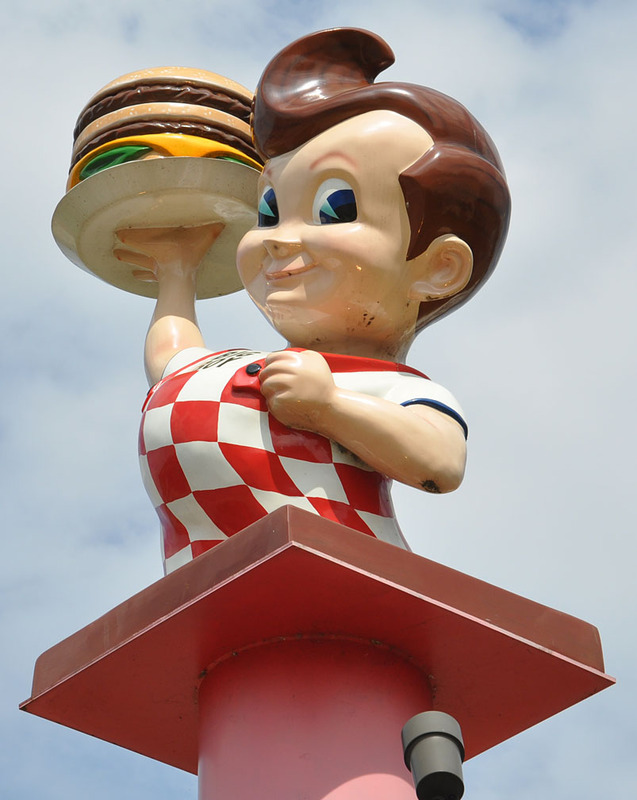 The monument functions as the Shoney's Museum with photos and information in the windows of the structure's base.